When I was a sophomore in college, my creative writing teacher, Gail Adams, mentioned to me that I might want to consider attending this thing called the West Virginia Writers Workshop. I was a painfully shy girl, majoring in psychology and taking a creative writing class as an elective. Gail, somehow in that miraculous way she has, saw something in me and took me under her wing. She hooked me up with some funding through the university and, come July, I found myself nervously sitting around a table with several other writers and workshop leader, Pinckney Benedict, an intimidating presence to be sure. While I don’t remember a ton about the actual workshop now (other than I was scared to death and barely said a word), what I do remember was the excitement of being around so many other writers—men and women at all stages of their careers and of their lives. We were all very different, but we also had things in common—we loved words, and we wanted to do something with that love. And thus began my romance with writers’ conferences. Since then, I’ve attended many workshops and conferences—some more successful for me than others—but what never changes is the happy feeling at the end of the day of community, of finding ones tribe (no matter how eccentric, strange, or disagreeable members of that tribe may be). Let’s face it, writing—the very hard center of it—is a solitary enterprise, and I’ll admit that most days, I love that quality. I, like many writers, have always been a bit of an introvert, and don’t mind being alone for a while with just my computer and my words (unfortunately, this happens very rarely these days, but that’s a different blog topic). Writing conferences and workshops, though, give us the chance to blink into the sunlight; maybe get some advice from other writers on that tricky story, essay, or poem we’ve been stressing over; and not feel so alone for a little while. At this point in my life, I’ve attended a variety of conferences and workshops, so I feel as though I can offer some advice when it comes to choosing the event that is best for you, and how to get the most out of your experience. I’ll start with just a brief discussion of the different types of conferences out there, and the benefits of each. So far in this entry, I’ve been using the terms “conference” and “workshop” pretty interchangeably (and the events often use them interchangeably, too), but the truth is that not all are meant to be the same. In my experience, a “writer’s workshop” typically has a workshop element, meaning that you (the writer) will submit a manuscript weeks before the actual event. That manuscript will be distributed to the other people in your workshop group, and you’ll come together during the designated time to talk about the pieces, all under the guidance of a workshop leader (usually a successful writer who’s getting paid as a faculty member at the workshop). This is how the West Virginia Writers Workshop (WVWW) that I mentioned above, works. In addition to the individual workshop meetings, there are usually also “sessions” or craft talks offered so attendees will get the opportunity to meet the other workshop faculty, as well as learn about specific themed topics and usually do some writing exercises. There are also usually evening readings by the faculty. The WVWW ends with an open mike where many of the participants read snippets of work they’ve done over the weekend. (Full disclosure, I attended this workshop for several years, and now work for WVWW as the high school participant coordinator, so maybe I’m biased, but it’s an awesome workshop. You should come). Similar to WVWW is the Kentucky Women Writers Conference in Lexington, Kentucky. This is the country’s oldest women writers conference (though men are welcomed too), and the lovely city of Lexington fully embraces the event and the writers who travel from all over the US to attend. There are panels, as well as the option to do a workshop (though this is not a requirement to attend). This low key/low stress event is often the perfect place for a newer writer, just getting her feet wet, while also providing experienced writers the opportunity to work with amazing staff. This year, I worked with National Book Award Nominee Bonnie Jo Campbell. The full workshop is often the most expensive (though both the WVWW and the KWWC are huge bargains at $350 and $195 respectively), but participants do usually get personal feedback from an admirable writer. These are also usually the events that last the longest (one reason for the increased price). Many, though, try to combine room and board with the tuition so that participants can save some cash, or they offer campus housing when possible. WVWW participants stay in West Virginia University’s dormitory, which creates a fun and nostalgic atmosphere. There is also often scholarship or fellowship opportunities available to help offset costs for some participants. Bread Loaf, one of the country’s most famous workshops, allows some lucky participants to perform a sort of “work study” to reduce their costs. On the other end of the spectrum, you have the “conference”. At a conference, there typically is not a workshop element and, instead, participants attend many sessions and readings. The most well-known writers conference is of course AWP, a massive annual event hosted by the Association of Writers and Writing Programs. The conference changes location each year (last year was Boston, the year before Chicago, this year Seattle), and hosts thousands of writers for four days. This conference revolves around panels where writers speak about specific topics, some related to craft, others organized by theme. There are many readings and a gigantic “book fair” where participants can learn about tons of presses, journals, and writing programs. It sounds great, right? It is, but it is also expensive (travel, hotel, conference costs) and it can be incredibly overwhelming. AWP is important at certain stages of a writer’s career, especially if that writer is also looking for an academic job; however, it is not the be-all-end-all. If you’re not ready for the extreme conference like AWP, there are plenty of other options. One of my favorite conferences is the Press 53 Gathering of Writers, a newish event that’s been offered just twice by the small press, Press 53. The Gathering of Writers is an intensive one-day production held in Winston-Salem, North Carolina. It’s relatively inexpensive (under $200) and intentionally small (no more than 53 writers can attend). Participants attend sessions offered by the faculty who are usually writers in the Press 53 stable, have a nice lunch provided by the conference, and then go to a reading at the end of the day. Because of the intimate setting, it’s easy to meet new people and talk to the faculty. There is no hierarchy; the faculty is not kept apart from the participants (as they sometimes are at the more prestigious conferences). It’s a great day, and well worth the money. There are usually conference options locally, especially if your state has a writer’s group or if there are colleges/universities in your area. I’ve attended the Winter Wheat Writers Conference on the campus of Bowling Green State University in Bowling Green, Ohio for many years. This is an event that hosts every level of writer, from undergraduate students all the way up to writers who have published several books. Another local conference that I’ve always enjoyed (both as an attendee and as faculty) is the West Virginia Writers, Inc. Conference, held annually in Ripley, West Virginia. Here, there are many sessions offered over several days, but the real story is community. There is an incredible, welcoming atmosphere at this conference, be it in the classroom or around the bonfire at night. Check out your local events. Chances are that you can find a conference near you that is inexpensive, as well as fun and engaging. There are probably many other “kinds” of conferences/workshops/gatherings/events that I’ve missed. The rule here is that there is no rule. Each event has its own guidelines, its own flavor. That’s one of the things that make these events so great. You can find what’s best for you and mix it up each year. Do know why you’re going. Don’t have unreasonable expectations. If you think that you’re going to become best friends with the famous writer who is giving a reading/presenting a craft class/leading a workshop, you will be disappointed. Sometimes a friendship will develop, but that has to happen naturally. If you believe you will get a book contract or agent, you’re going to be disappointed. Sure, this does occasionally (rarely) happen, but you can’t expect it. There is no easy route to publication or contracts. You have to put in the work. The reason to go to a workshop is to better your craft through attending sessions, sharing work, and talking to other writers. Going solely for any other reason is probably going to be a waste of money. Gretchen Moran Laskas (author, Midwife’s Tale and Miner’s Daughter): Don’t think that a conference is a substitute for the actual hard work of writing itself. There are always some people who are sure it’s just a matter of meeting the right person, making the right connection, having the inspiration, paying the right price, when in the end, it still means you sitting in a chair putting words on the page. Do go to work with the famous writer that you’ve been cyber stalking if you think he/she will teach you something. Don’t be closed off to the possibility of meeting someone new. Some conferences have both junior and senior faculty. Don’t ignore the “new guys”. They’re often the ones who are most willing to chat with attendees and who have their fingers on the pulse of the literary world. Be willing to learn from everyone, including other participants. Phyllis Wilson Moore: If you find a comfortable atmosphere (I’m thinking Hindman Appalachian Writers Workshop or WVW) it is much easier: Low key, comfortable dress, reasonable accommodations, peer acceptance. I will always treasure attending Hindman where even the big name authors mix and mingle with the group and even join in the chores. Do be open to socializing and making new friends, but Don’t feel like you have to participate in every event and go to every session. You might need some alone time, and that’s perfectly okay. I personally get caught up in the “I must get my money’s worth” mentality, which often leaves me feeling overwhelmed and exhausted. Take some time if you need to. Decompress. Maybe even write a little if the inspiration hits you. Maggie Duncan: I like a writing conference where not only do you bring work to have critiqued but you also have writing exercises. My favorite in that respect is Tinker Mountain. I’ve always gained something from writer’s conferences, even if it is merely networking opportunities and even if it is just a one-day conference. Rhonda Browning White: The most important thing, as I see it, is the networking. Connect with other writers. Stick around the for the after-hours cash bar, even if you sip on Diet Pepsi or water. The best information, encouragement, advice and support is often received when the work day is over, and the authors, editors and agents are relaxed and ready to dish about the business and life of writing. Wilma Acre: Go with an open mind. I learn something in every session I attend–even though it is sometimes what NOT TO DO. Reach out to people. If you see someone sitting alone, ask “May I join you?” Almost all of my friends are people I have met at writing events. That being said: Do attend events and get your money’s worth, but Don’t be afraid to break away. Some of my most successful writing event related moments have been on side trips, when I left the workshop and ventured out. As I mentioned earlier, a workshop can be a bit overwhelming (especially big ones like AWP) and a side trip can provide some much needed rest and perspective. There is also something to be said in favor of visiting someplace while all these ideas about writing are fresh in your head. This might create an exciting new piece of writing for you. One of my very favorite side trips is to visit Jeffrey’s: Ohio’s Largest Antique Mall (according to Jeffrey) near Bowling Green, Ohio. Visiting Jeffrey’s has become a tradition for my friends and me when we attend the Winter Wheat conference. There are so many strange and unusual items at an antique store, not to mention tons of history. Definitely fertile ground for any writer. Melissa Minsker: Do as much as you can and write down everything! So many great ideas and inspirations happen at a writing conference. Kirsten Beachy: Take a break! If you’re suddenly inspired or too weary to pay attention, sit out of a session or two and rest or write. Do understand that you’ll have to pay more for the bigger conferences, but Don’t take out a loan, cash in your 401K, or reach beyond your means to attend a conference. I have nothing further to say about this. Just don’t. And finally: Do go expecting to write, but Don’t be disappointed if you don’t. A conference/workshop is a whirlwind. Often, every moment of your time is scheduled and, even though the events are all great, you might be too busy, tired, or plain out overwhelmed to write. That’s okay. Don’t feel like a failure if you don’t leave with a new story, essay, or poem. It will take a while for all the information you’re receiving to sink in. In that way, a writers workshop is the gift that keeps on giving, long after your time there is done. Brad Eddy: The likelihood of getting anything work/writing related accomplished while attending a conference is an astonishing 0.00001% (and I rounded up). Laura Morris: Get caught up in the energy of the conference. You’ll come up with a million ideas for new pieces. Take that energy home and use it. In this blog post, I’ve tried to offer some helpful advice based on what I’ve learned over my several years of attending writers workshops and conferences, as well as what others have learned; however, these are the things that work for us. Just as each conference is different, each writer’s needs, desires, and processes are different. You’ll just have to start doing some research and attend the events that look interesting to you. Or, come to one of the ones I’ve mentioned here and look me up. I’m almost sure to be there! Natalie Sypolt lives and writes in West Virginia. She is an Assistant Professor at Pierpont Community & Technical College and also teaches community creative writing classes and workshops. 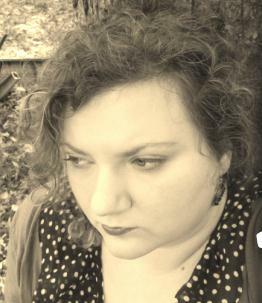 Her work has appeared in Glimmer Train, Appalachian Heritage, Switchback, r.kv.r.y., Superstition Review, Paste, Willow Springs Review, and The Kenyon Review Online among others. Sypolt is the winner of the Glimmer Train New Writers Contest and the Betty Gabehart Prize. She also organizes the high school workshop at the West Virginia Writers Workshop in Morgantown, West Virginia. I love this post, I can definitely relate to being an introvert. I’d be terrified to attend a conference like this, but sometimes we just have to push ourselves outside of our comfort zones in order to grow as writers. Great advice! Thanks for all the tips and information! Writing workshops and conferences sound like a lot of fun and a great way to start connecting with other writers, learn new tricks, and broaden one’s horizons. I’ve wanted to attend one for a few years now but never really had the funds (or the time off from work or school). However, I’m graduating soon and looking for more steady job, so hopefully I’ll be able to attend one soon! Sometimes there are opportunities for volunteering at conferences in exchange for the fees to attend.